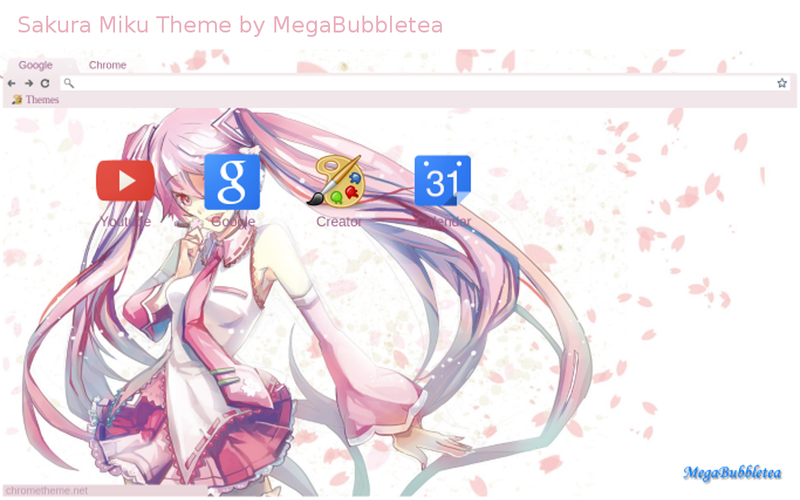 Well I created a theme for 'Snow Miku' so I figured I needed a Spring theme. Hence, 'Sakura Miku' was created. Enjoy the bright, pick theme with soft petal falling gently in the Chrome browser's frame.